Aplysia is a shell-less gastropod mollusc that spends most of the time grazing on seaweed near or just below the low-tide mark. It breathes by drawing currents of water over a delicate gill, which is normally partially extended from under a fleshy shelf of the body wall, but is retracted for defence if nearby skin is touched lightly (Fig. 8.1a). The gill is also strongly retracted in time with respiratory pumping movements. Some species of Aplysia grow in excess of 30 cm long and have attracted the attention of neurophysiologists since the 1930s because the nervous system contains a number of neatly arranged ganglia with large, often distinctly coloured, neuron cell bodies that are ideal targets for microelectrodes. The abdominal ganglion has been particularly intensively investigated, and is the ganglion that contains cell bodies of gill-withdrawal motor neurons and of some of the sensory neurons that innervate the skin near to the gill. these direct monosynaptic pathways are not the only ones responsible for mediating the gill-withdrawal reflex (estimates of their contribution vary from 5 per cent to 60 per cent). Sensory neurons make extensive connections with motor neurons through indirect pathways that involve interneurons - this parallel arrangement of direct and indirect pathways linking sensory and motor neurons should be familiar from the way that proprioceptors influence locust flight (see section 7.7). Aplysia also has a peripheral nervous system. The involvement of interneurons not only increases the complexity of the integrative processes underlying the relation between stimulus and response, but also introduces the possibility that responses by motor neurons to skin stimulation will be influenced by other behaviours in which these interneurons are involved. 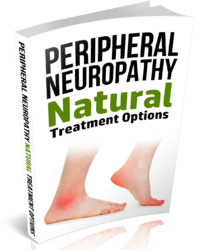 Besides responding to mechanical stimulation of the skin, large gill-withdrawal movements occur as part of ordinary ventilatory pumping movements, and smaller withdrawals often occur apparently spontaneously. An engineer would probably design separate circuits responsible for reflex and ventilatory withdrawal and feed the outputs of these circuits through a switch so that the gill could be controlled either by one or the other. In this kind of configuration, particular elements would be dedicated to specific behaviours, as shown in Fig. 8.1b. Circuit 1 might be responsible for generating respiratory pumping movements, while circuit 2 might organise retraction in response to touching the skin and circuit 3 might control another kind of gill retraction. 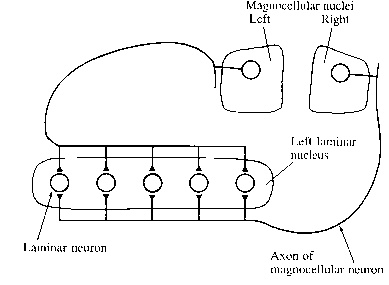 All three circuits are subject to input from sensory neurons and they each drive some of the gill-withdrawal motor neurons (direct links between sensory neurons and motor neurons are omitted in the diagram). In another arrangement, drawn in Fig. 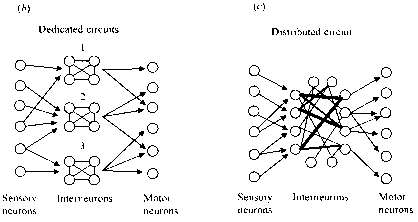 8.1c, interneurons are interconnected more widely and diffusely; different functions are distributed within the whole circuit, so that single interneurons participate in several different behaviours.